Do your employees know how to act quickly in a workplace emergency? 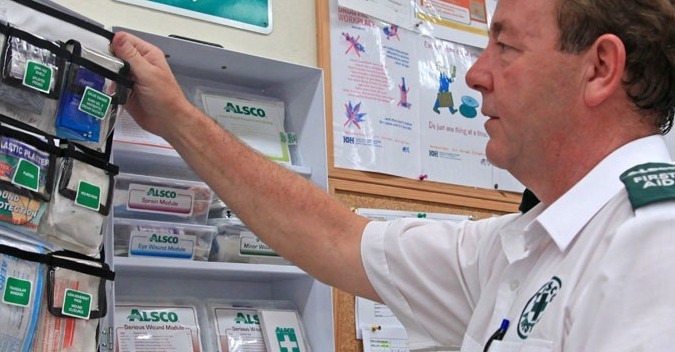 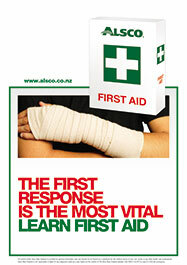 First aid knowledge is important for any organisation since accidents and injuries can happen anytime. 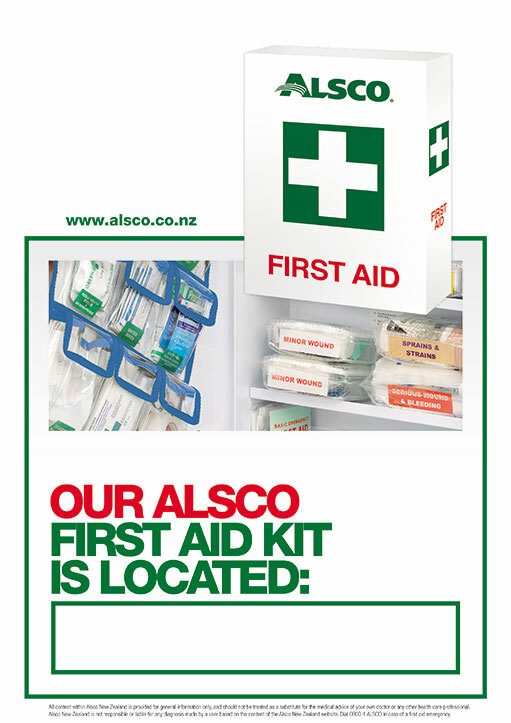 The first thing you should to ensure workplace safety is to obtain fully stocked and regularly replenished first aid kits and operational AEDs. 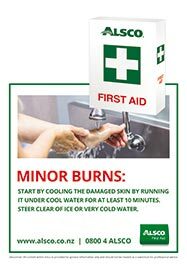 The second thing is to make sure they remember to use these supplies. 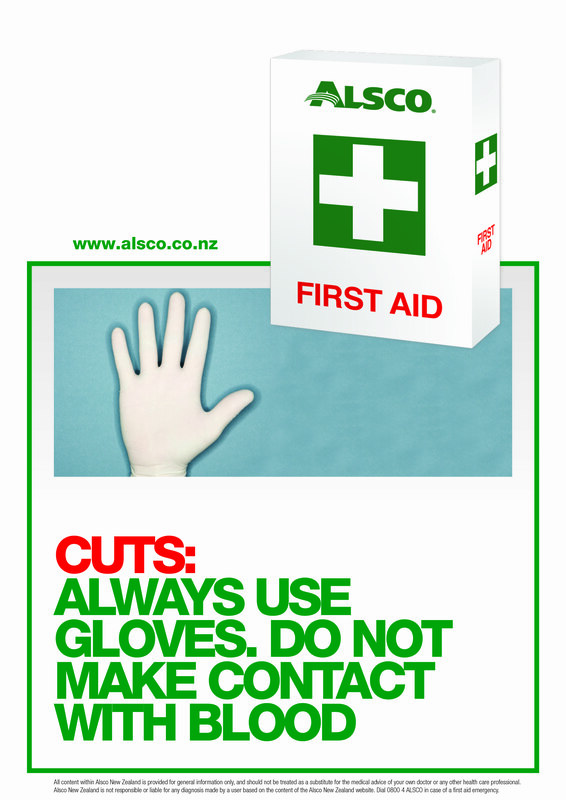 Remind your employees to always remain safe at work. 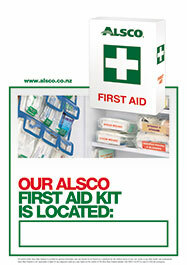 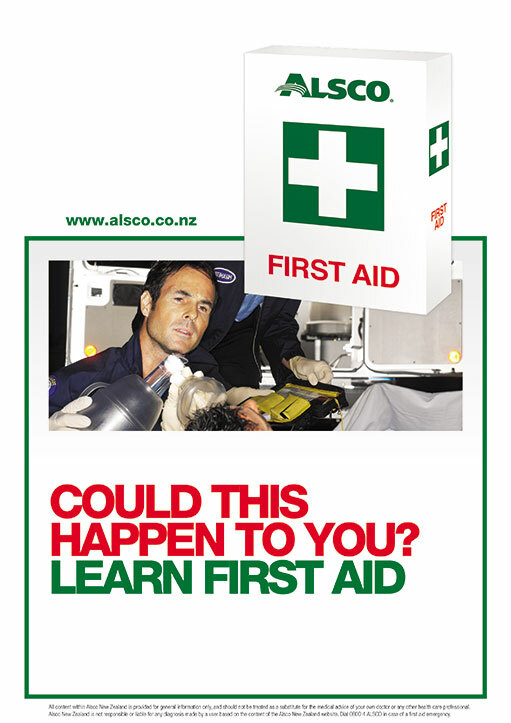 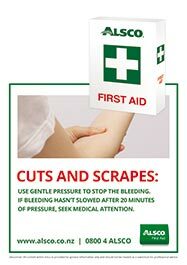 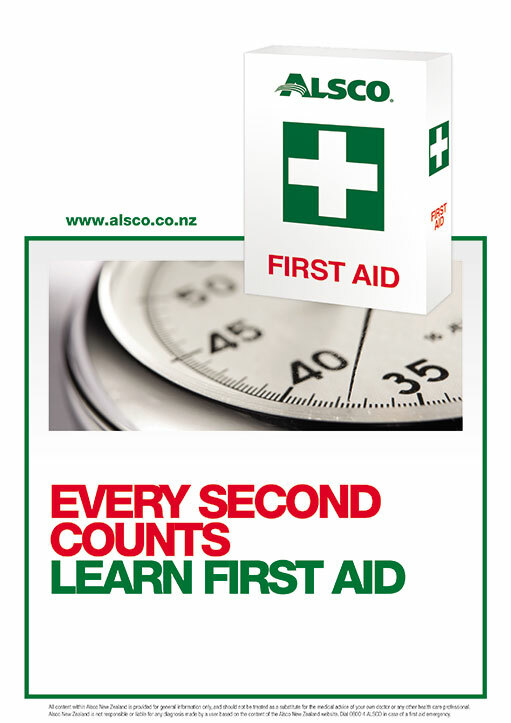 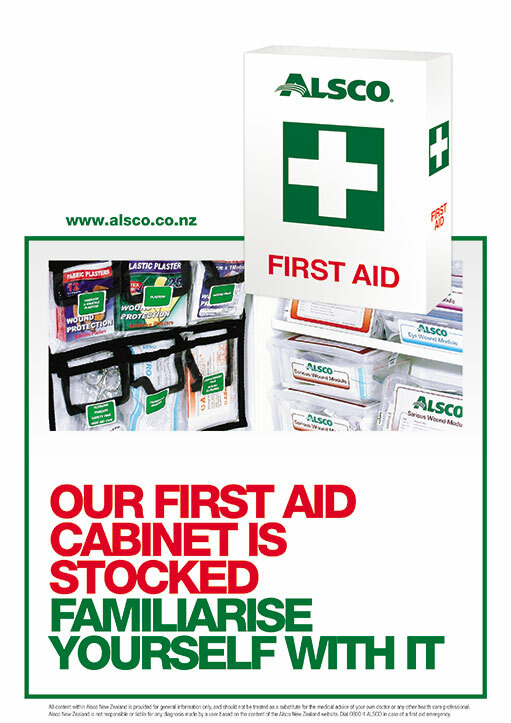 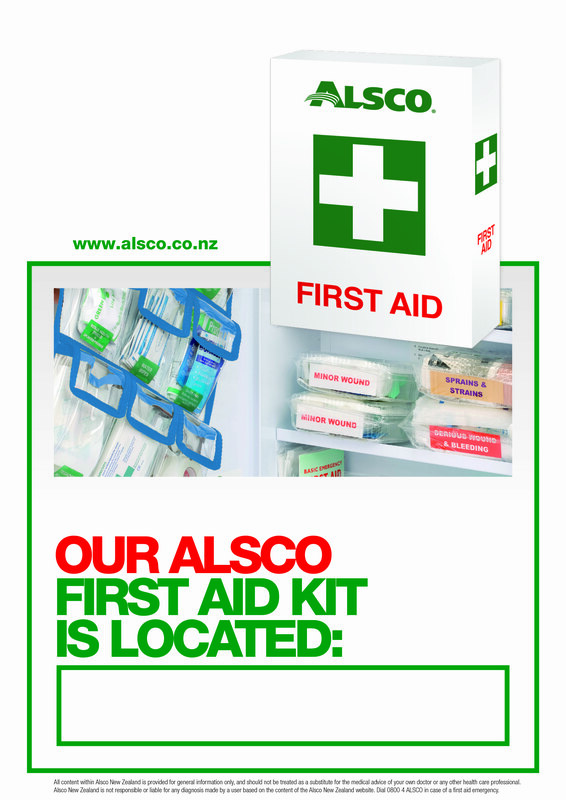 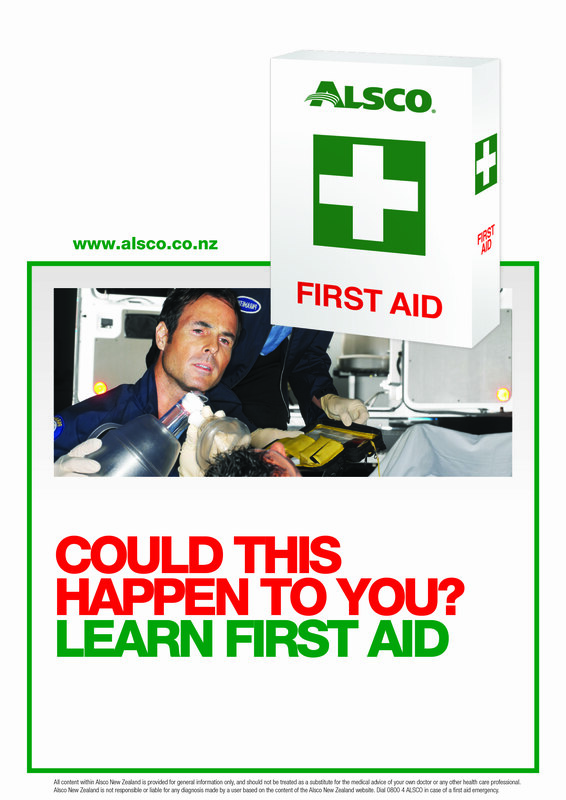 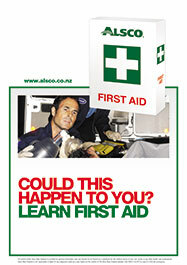 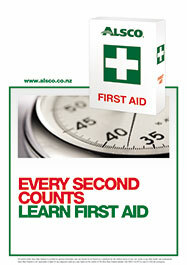 Display these first aid posters at common areas in your workplace to keep them informed. Note: These posters are free, downloadable and print-ready. 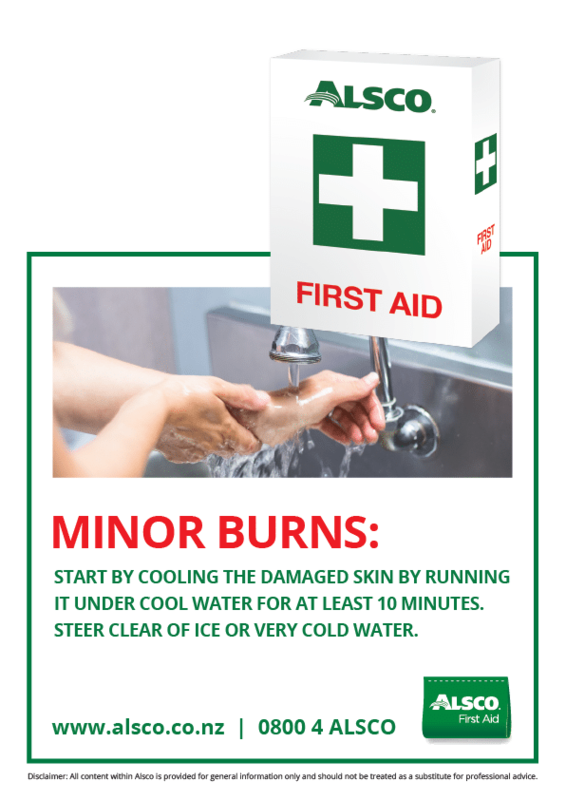 Download and print them now! Start by cooling the damaged skin by running it under cool water for at least 10 minutes. 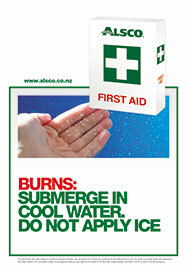 Steer clear of ice or very cold water. 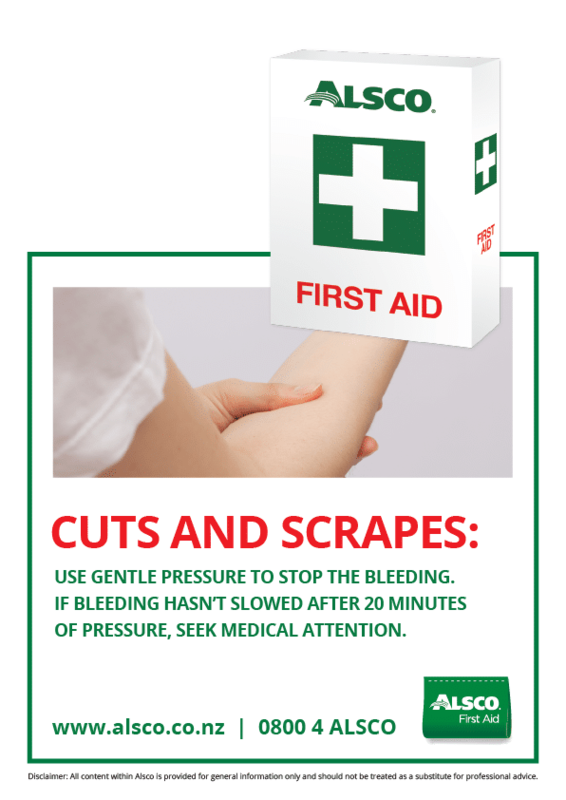 Use gentle pressure to stop the bleeding. 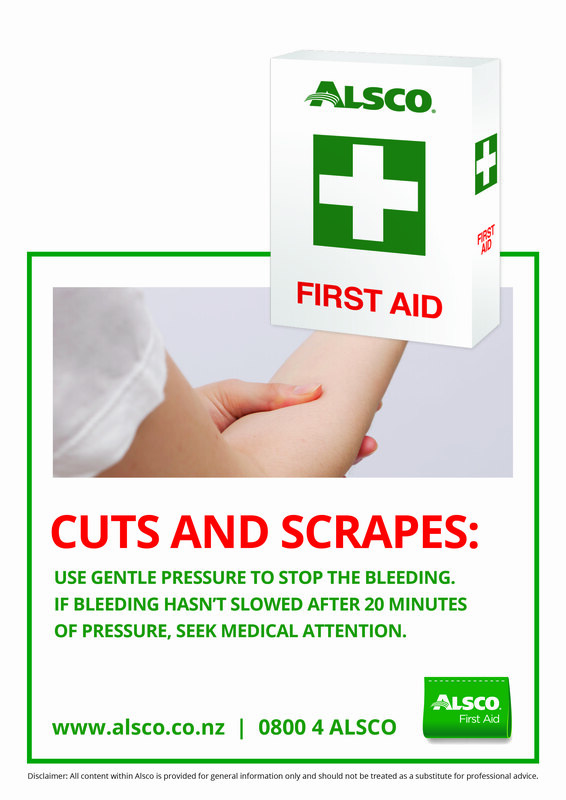 If bleeding hasn’t slowed after 20 munites of pressure, seek medical attention. 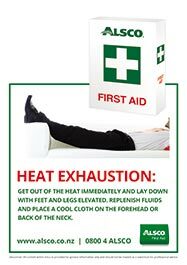 Get out of the heat immediately and lay down with feet and legs elevated. 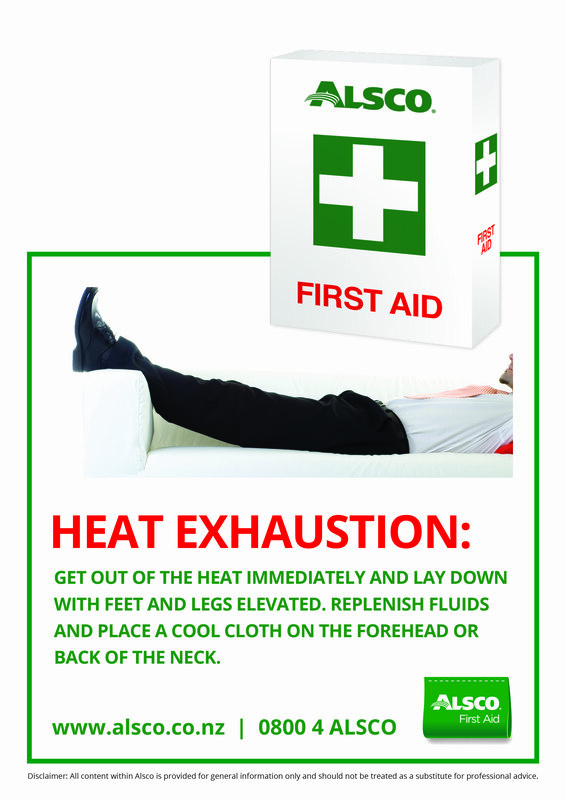 Replenish fluids and place a cool cloth on the forehead or back of the neck. Submerge in cool water. 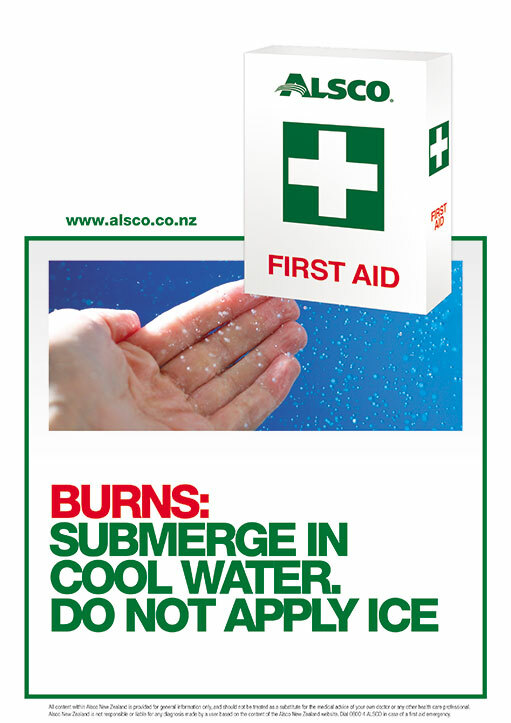 Do not apply ice. Always use gloves. 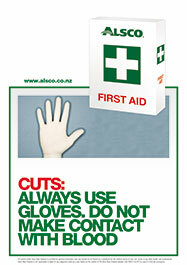 Do not make contact with blood. 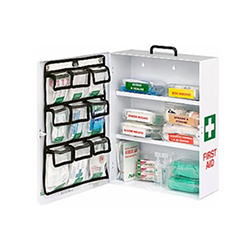 First aid kit is located.